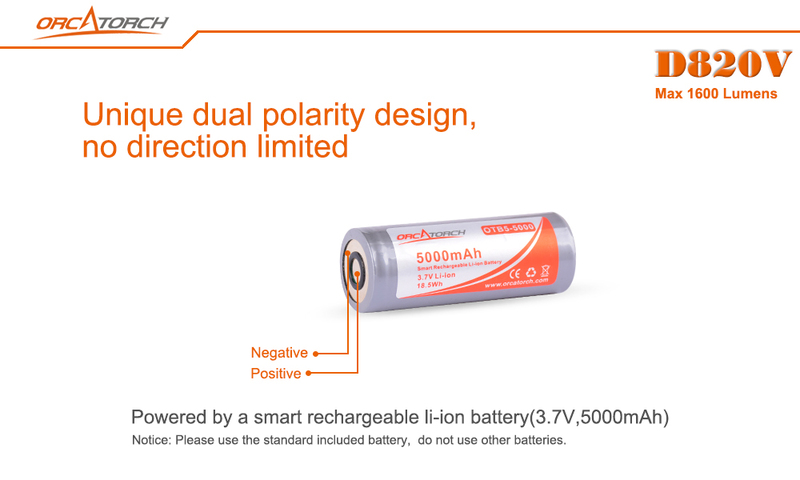 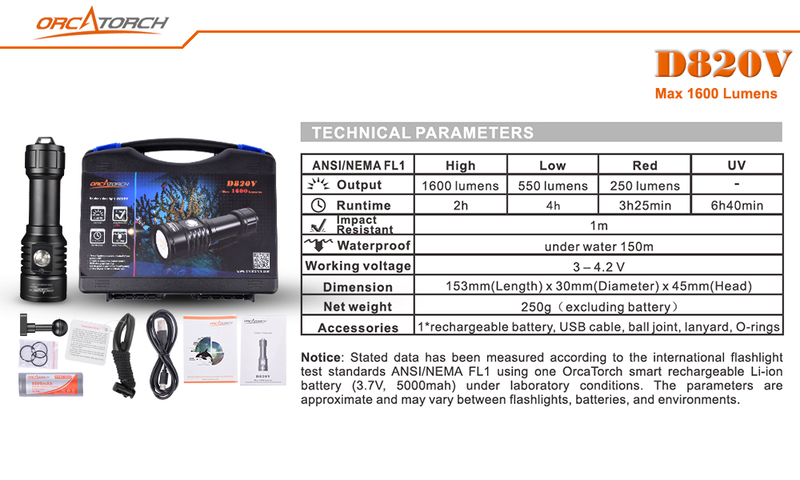 SPECIALLY DESIGNED FOR UNDERWATER PHOTO-VIDEO. 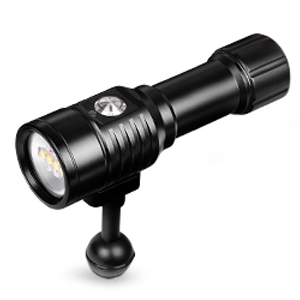 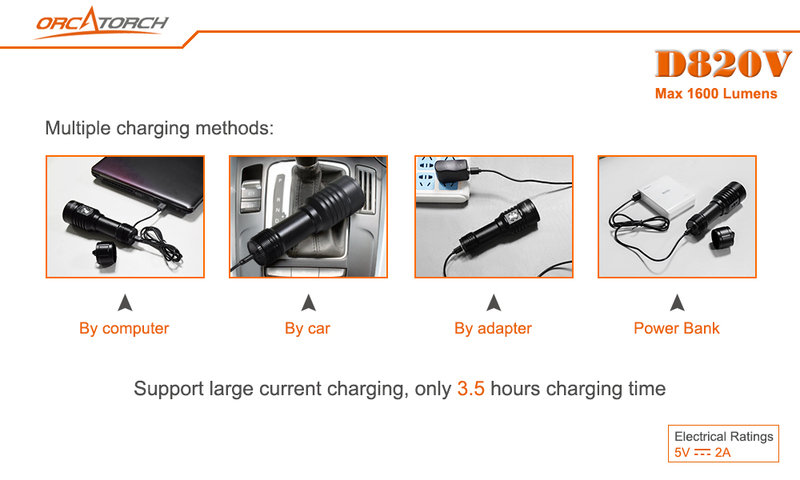 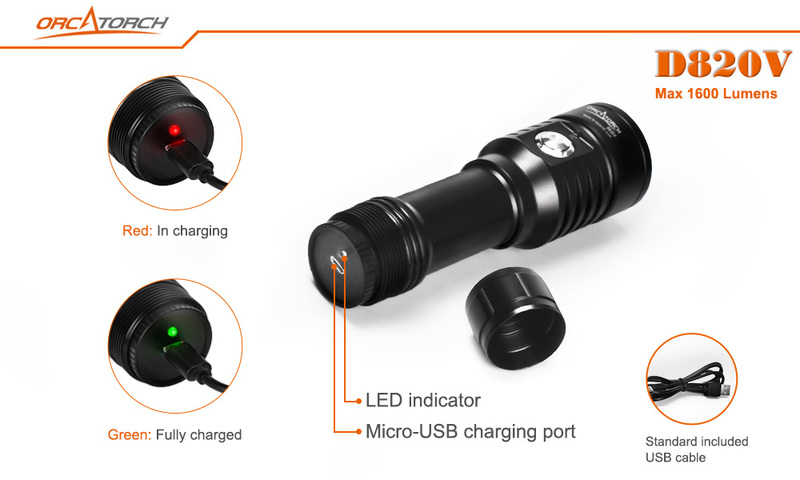 ORCATORCH D820V is a compact and lightweight USB charging video light. 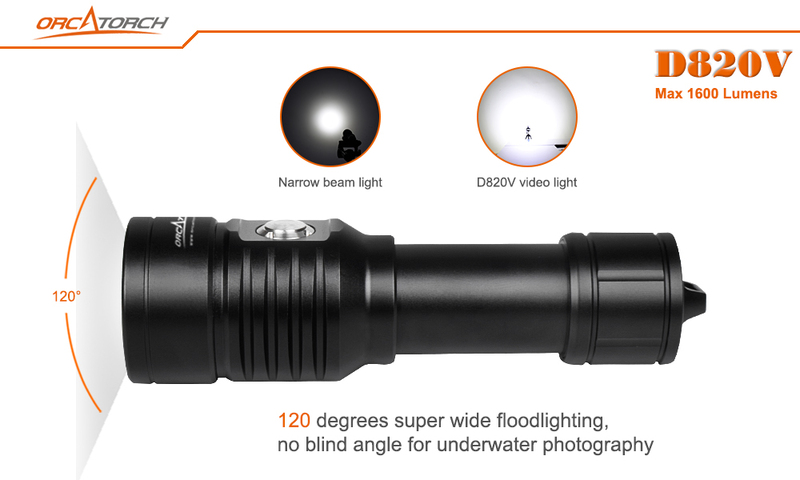 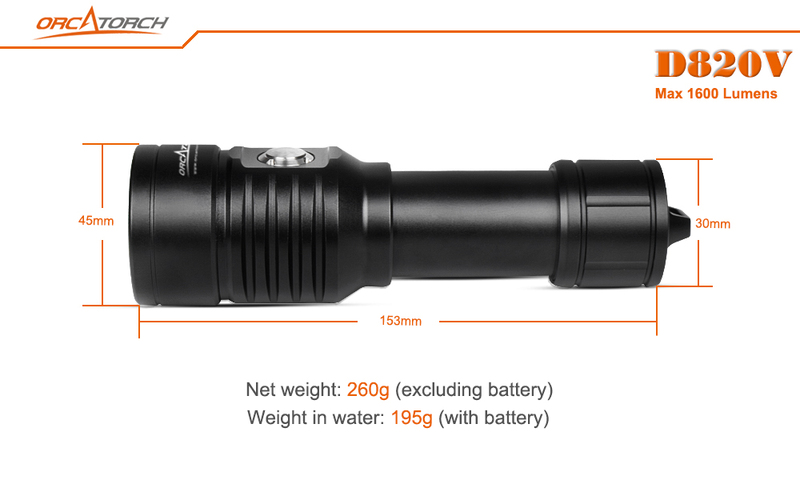 It has 120 degrees super wide floodlighting with no blind angle for underwater photography. 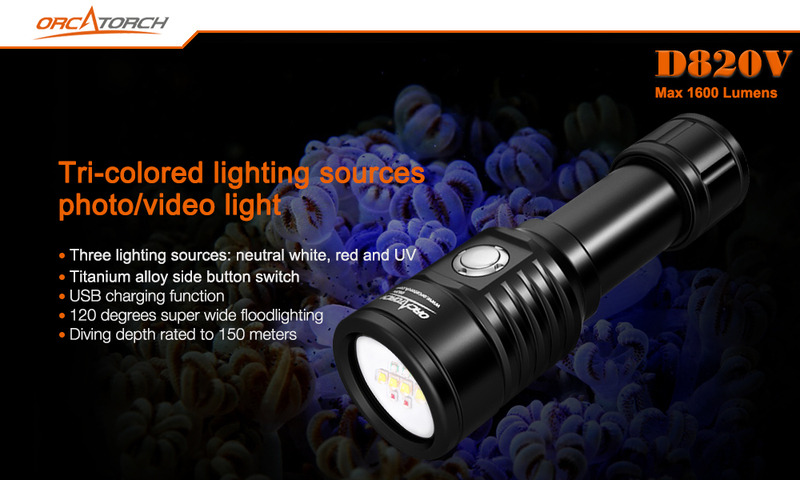 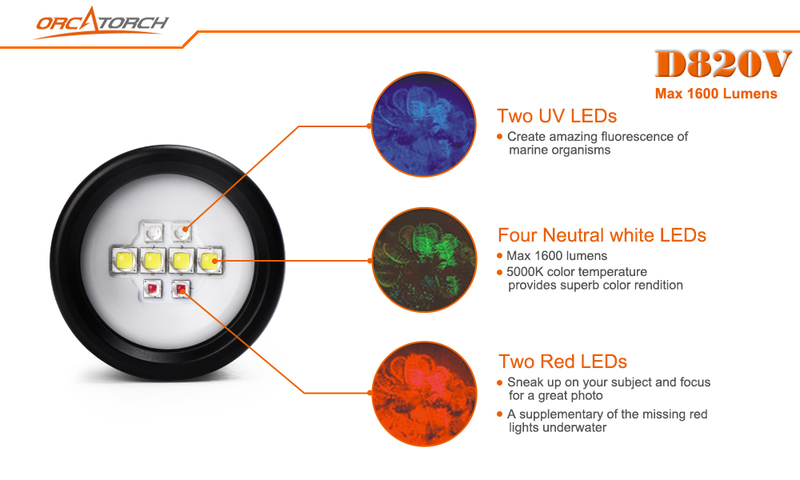 D820V offers three kind of light sources: Neutral white, UV and Red, which not only helps your photography or videography in the dark water but also can creates amazing fluorescence of marine organisms. 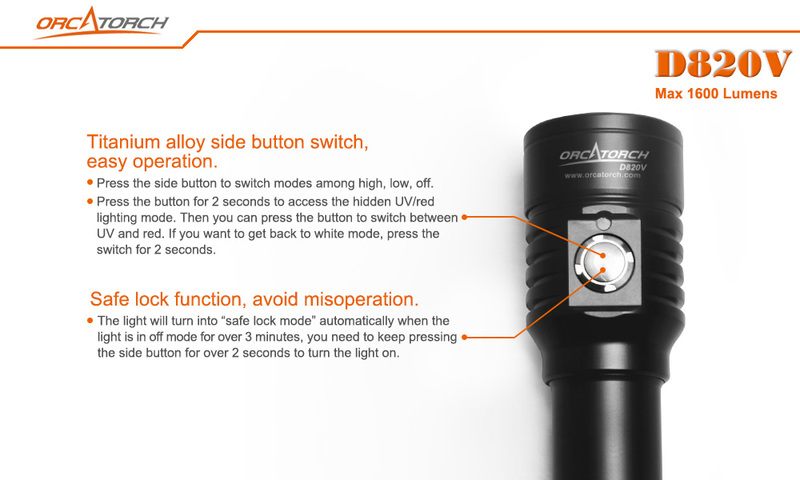 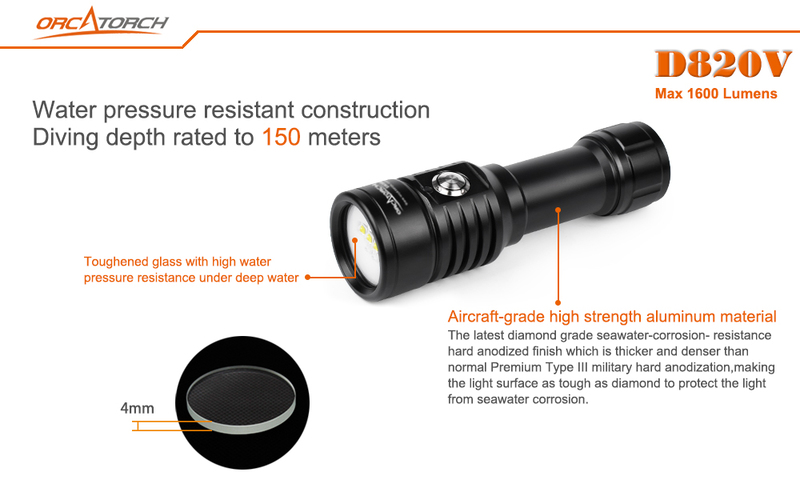 The unique designed titanium alloy side button switch provides easy operation underwater.